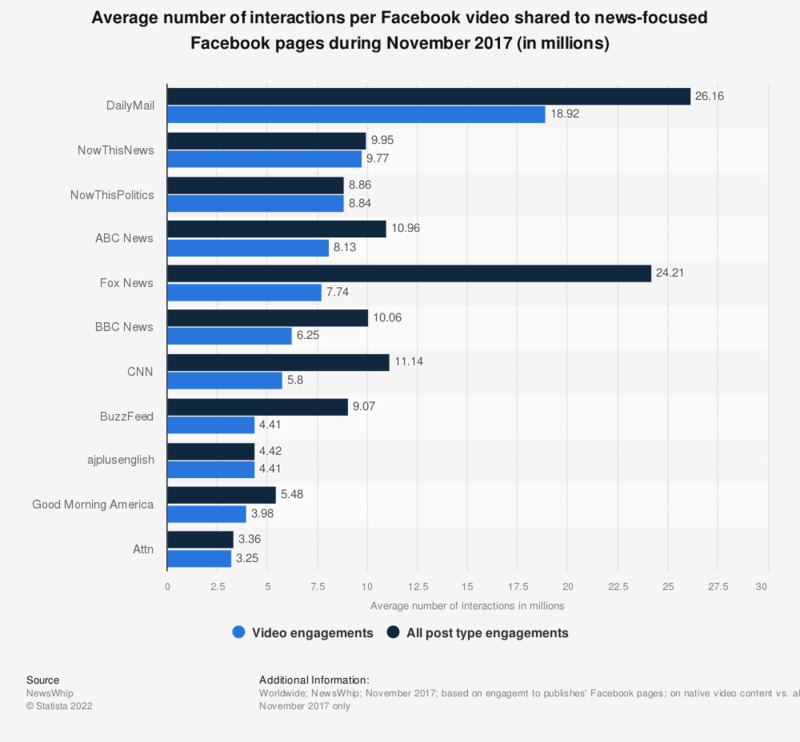 This statistic gives information on the average number of interactions per Facebook video shared to news-focused Facebook pages during November 2017. During the measured period, native videos posted by BuzzFeed generated an average of 4.4 million likes, shares, comments, and reactions on the social platform. A new shocking video was published on Facebook. Do you think that stricter rules are needed on social media?